Gain hands-on experience by creating your own app for watchOS. Millions of people around the world use Apple products, and that's why developers are scrambling to learn how to build apps for the Apple operating system. 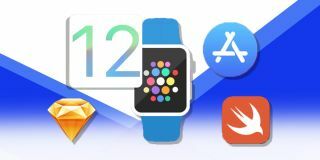 For a crash course on everything you need to know about developing apps for iOS 12, macOS, watchOS, and more, get The Essential iOS 12 Development Bundle. In this bundle, you'll gain hands-on experience by creating your own app for watchOS and finding out how to make your app creations more user-friendly. You'll even create a weather app and a bitcoin tracker as further practice to prepare you for the world of iOS development. With more than 100 hours of expert help, this course is sure to help you become a top-notch developer. Get The Essential iOS 12 Development Bundle for only $29 – that's 97 per cent off the regular price.